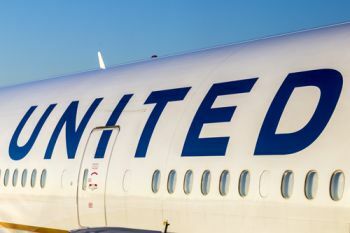 In the wake of a United passenger being forcibly removed from one of its aircraft, Director of City’s Aviation Management programmes, Captain Tillman Gabriel, says a CEO will never win sympathy from the public by saying the airline followed the rules. The removal of a full fare-paying passenger from a United aircraft on Sunday 9th April 2017, went viral on social media. Activities are under way to boycott the airline. CEO, Oscar Munoz, has evidently handled the crisis in an incompetent manner. He could possibly lose his job. 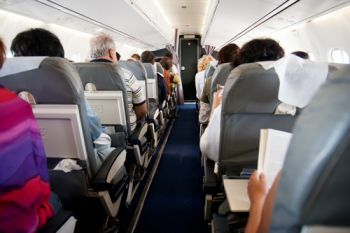 In today’s media world, it is astonishing that senior airline executives and those of other safety sensitive companies are not better prepared for crisis-type scenarios which have a damaging effect on both the company and on the executive’s career. In 1996, ValuJet Airlines, a US low-cost carrier, lost an aircraft in the Florida Everglades, with over 100 passengers and crew dead. Lewis Jordan, ValuJet president, appeared before the media in a ValuJet polo shirt, and even smiled at points during his interview. His airline went under in weeks. The non-empathetic dress code was a contributing factor. From that time onwards, every airline CEOs faced with similar circumstances have taken the time to get a dark suit and a black tie, addressing the situation with empathy for the deceased. This is not only important for airline CEOs - as the BP Deepwater Horizon disaster in the Gulf demonstrated to us in 2010. With 11 people killed, an unprecedented and enormous oil spill and threats to Gulf coastlines and vegetation, CEO Tony Hayward made several TV appearances with stunning remarks such as: “I want my life back”, or needing to recuperate by “sailing with his son around the UK”. While no one could guarantee that with more empathetic behaviour, a CEO could have saved BP some of the $40bn bill in damages, BP’s corporate image was nevertheless forever tarnished by its CEO, who was subsequently fired. At City, University of London, I have recognized a genuine lack of media and corporate communications awareness among our post graduate students on the MSc Aviation Management programmes. We have therefore added plenty of presentation and speaking exercises to our modules, starting with our Induction Workshop. In dramatic incidents and accidents like the ones I have just described, a corporate executive must understand the media, including social media, as early as possible. The speaking-presentation instruction has also been included in our undergraduate aeronautical engineering classes, for students at the beginning of their aviation careers. Our Risk Management modules make this very clear as well: you have to be ready for any incident which could significantly damage your brand value and corporate existence. For most students this will remain an exercise, which they hopefully will never need to ever put into practice. During my early tenure as an airline executive, the ground service team accidentally damaged a $10,000 wheelchair when off-loading it from an aircraft. The customer service staff offered the passenger a compensation figure based on the Warsaw Convention - $25 per Kilo, or some $1500, stating that it was a generous offer. I however, only got wind of this incident when several letters had been exchanged between the passenger and the airline and the passenger decided to approach a famous German consumer rights TV programme. Prepared with BBC media training, I had to step into this dispute, bombarded with hostile questions. I responded with apologies to the passenger: We were truly sorry for the accidental damage and we fully compensated the passenger for the loss of the wheelchair, inviting the passenger to take first class flights on the airline. I will never forget this interview. The United incident last week is one of these moments you have to be prepared for. You can never win by stating that you acted according to the rules. If only 5% of United passengers boycott the airline, this could translate into more than $1bn loss in revenue per annum for United. 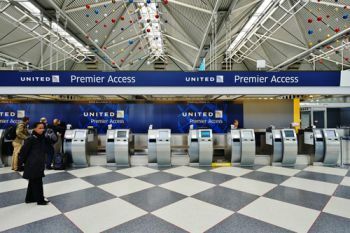 An aviation media commentator captured United’s woes succinctly: First, the passenger tried to hang on to his seat, now CEO Munoz is trying to hang on to his seat. The Warsaw Convention is an International civil aviation agreement that establishes the legal framework for carriage of passengers, luggage (baggage), and goods (cargo). It (1) covers conditions of carriage that (a) define liability of the carrier in case of loss, damage, injury or death due to accident on international flights, and (b) spell out procedures for claims and restitution, (2) lays down out the requirements for format and content of air transport documents (passenger tickets, luggage tickets, air consignment notes, etc. Signed in 1929 in Warsaw (Poland) by 31 states, it has evolved into one of the most important instruments of private international law adhered to by 105 signatory nations.